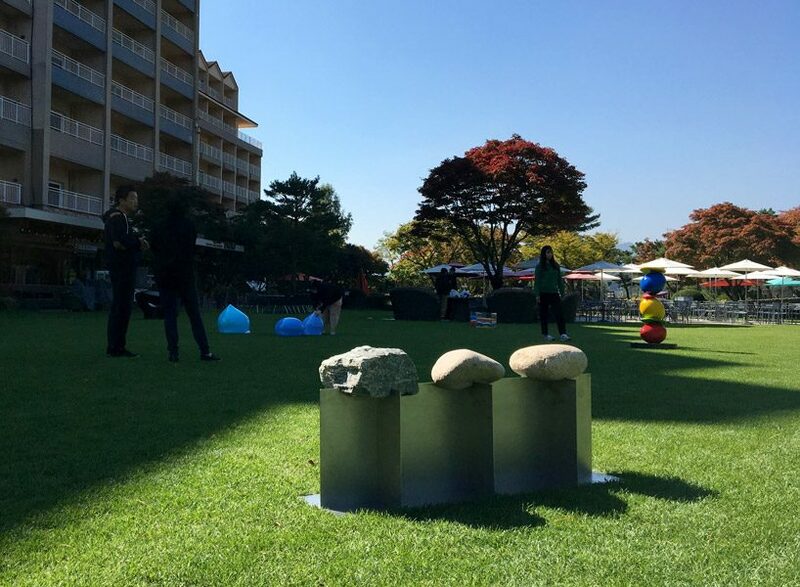 the korean designer, chiho cheon, has created ‘art in daemyung’ for the garden of daemyung resort in south korea. 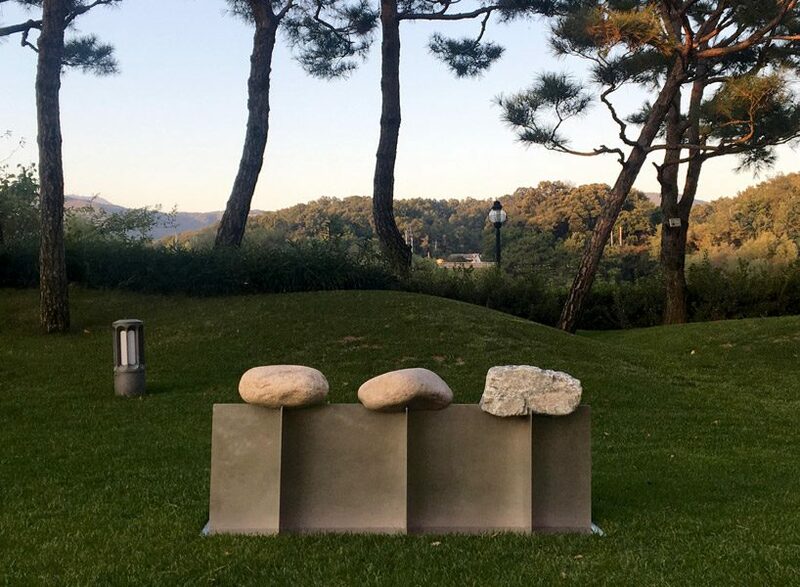 for the first time, daemyung resort asked sangmyung university to produce an artwork that would complement the outdoor garden environment. the resulting design by cheon acts as a piece of furniture, but also as a boundary to the site. at the daemyung resort, the view from the garden includes a river which flows in front and impressive mountains in the near distance. considering this remarkable scenery, cheon decided to create an artwork that harmonizes with nature. 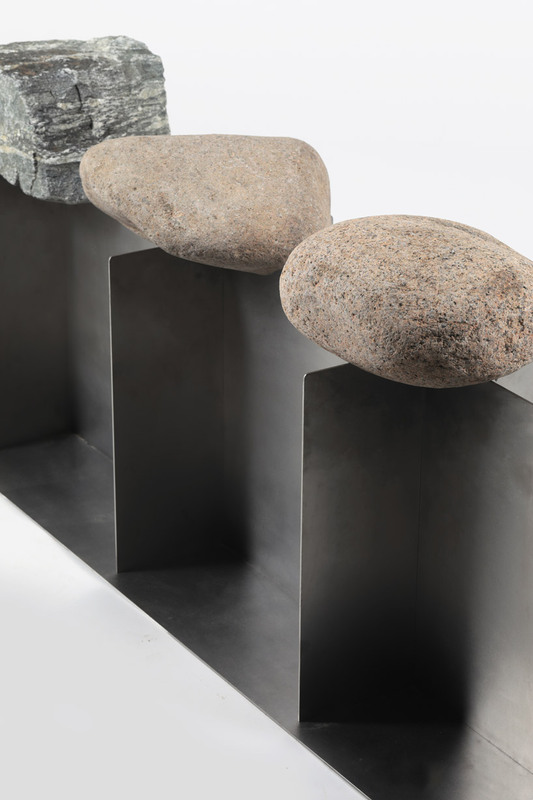 the resulting concept aims to become a boundary between nature and man-made artifacts. 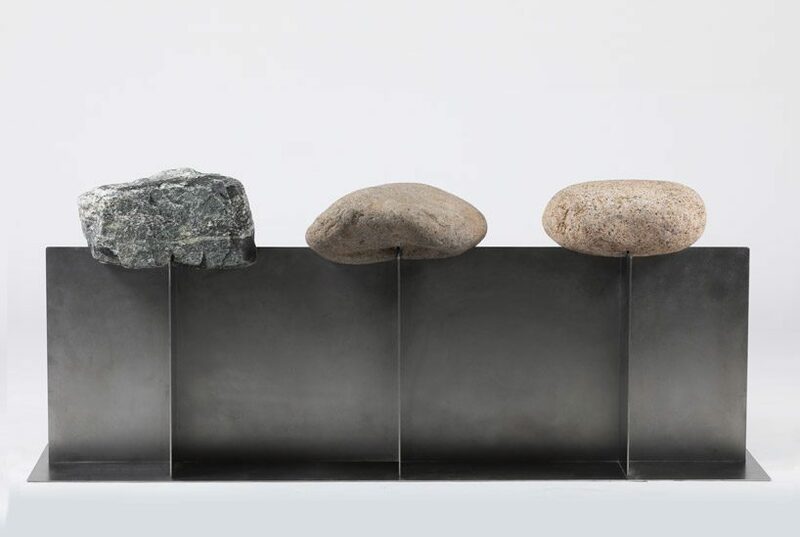 cheon uses materials to express his ideas and this project uses large stones to relate to the mountain backdrop and to represent nature. 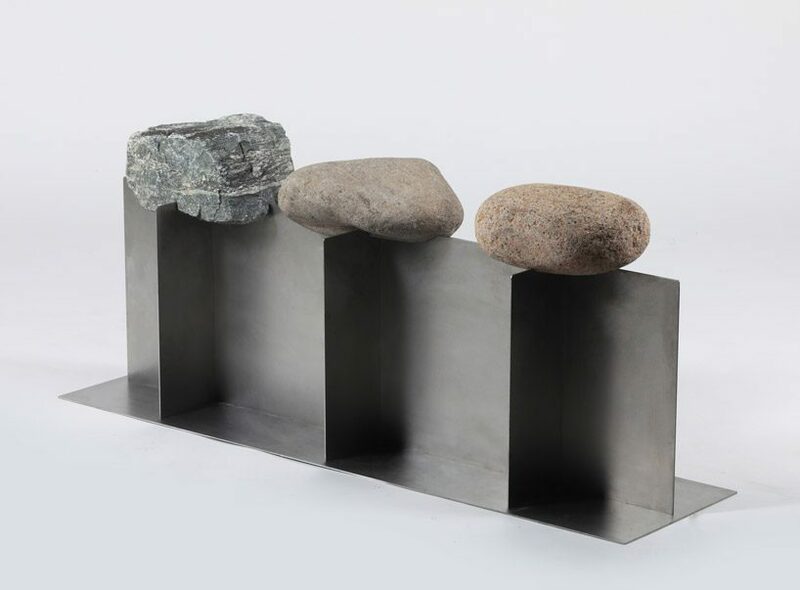 the design also uses stainless steel, which represents the man-made element, and also creates a connection between nature and man-made materials. 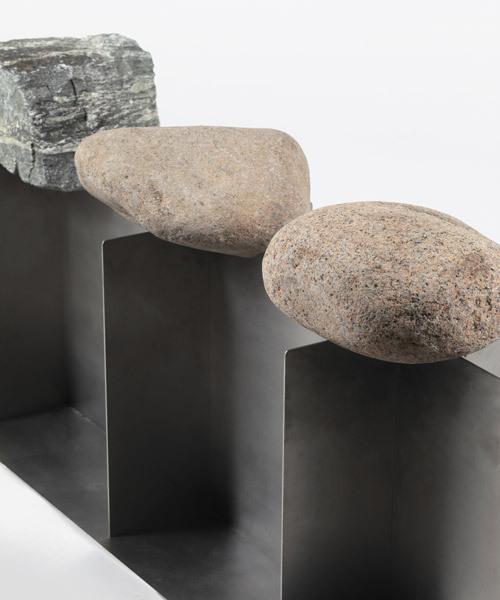 by creating both an art work and a bench, cheon aims to express that by sitting down, nature itself can have its function. I never realized ‘rocks like to sit on benches’? A photo of this actually being used as a bench would be a nice addition.